It wasn’t long ago when the industry leaders were widely under the impression the enterprise IT cloud package and enterprise resource planning (ERP) were two non-associative domains. However, the change has occurred due to the inclusion of SaaS and cloud applications into the mainframe of enterprise IT strategy. The modern enterprises have realized that without integrating sales force automation (SFA), talent management and ERP, it is not possible to survive the challenges that the modern business environment has to offer. Compared to the conventional computing models, Cloud has emerged as a more reliable option when it comes to not only making this fusion happen but also in terms of providing critical support to businesses in terms of enterprise mobility, critical decision making process and wholesome management of the business’s social presence along with analysis of the data. Moving the ERP (Enterprise Resource System) to Cloud, these multivarious objectives can be attained alongside specific business and technological benefits. The increasing popularity of the trend of moving ERP to cloud computing along with the use of SaaS (Software as a Service) is revolutionizing the way businesses used to run. The Cloud and SaaS combo is letting businesses to deploy and execute their business values and competitive advantages in the manner that they decide most suitable for their growth. SaaS was there since 1990s onward but businesses were quite reluctant in making it an essential component of the enterprise IT strategizing. The turnkey feature of the operating model helps users in integrating various service platforms into one, which can be accessed and worked upon via a reliable internet connection. Getting real-time, big data with ERP on cloud is real easy and highly relevant at the same time, as business owners receive timely and relevant insight about their enterprises’ performance and take necessary actions to address any situation of crisis or dissatisfaction. 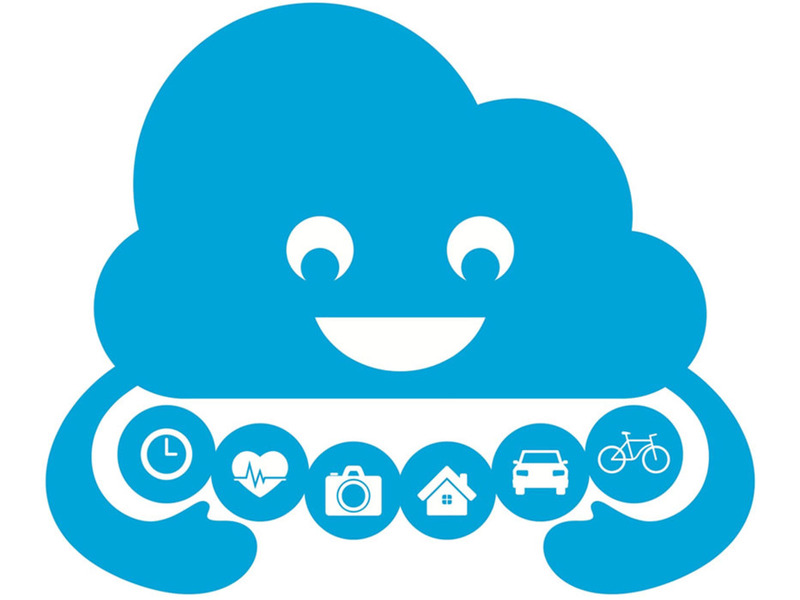 Cloud is not just a future anymore! It is happening now and the sooner you take the right decision about sifting your ERP on Cloud quicker your organization will join the parameters of achievement, which would define the corporations of future. The three essential service delivery and operating models that Cloud has to offer are Software as a Service (SaaS), Platform as a Service (PaaS) and Infrastructure as a Service (IaaS). There is no denying that despite the multivarious layers of benefit that cloud computing has to offer, it hasn’t yet reached the level of deserving popularity. Moreover, IaaS is, perhaps, the least used operating and service delivery model, despite the fact that it functions as an excellently comprehensive platform for development purposes. Generally, the small and mid scale companies opt or think about opting for IaaS. In case of large-scale IT companies, using this operating and delivery model as a crucial environment for development and production is still a distant dream. Hybrid Cloud: Revitalizing Factor for IaaS! The story of maintaining distance from Cloud operating models, especially IaaS, is expected to come to an soon. Hybrid Cloud, the hottest operating model, presumably, will make this change happen and that also quite radically (hopefully before the end of 2014). Despite the fact that materialization of the expectation is pretty much at the stage of speculation, the participation of Microsoft, VMware and Amazon has surely helped significantly fuelled hopes of expectation of everyone who wishes stronger interference of cloud computing in the modern IT industry. However, the contribution of Microsoft and VMware is focused at elevating IaaS as a more effective and fertile platform for development. On the other hand, Amazon aims at controlling the sales and marketing of the upcoming cloud operating model. The inception of hybrid cloud is receiving such widespread support is not just because it would help IT companies of all size and expansion with better earning opportunities and smoother development but it is expected that this new operating model with widen the path for innovation of more advanced successors that will play important role in giving birth to hybrid cloud DR or creation of more reliable DevTest environment. Significant cut on the total expenditure is a major benefit that Hybrid Cloud offers. The IT companies are currently spending significant amount for using the third party data centers. The result is almost 50% increase in the overall product development cost. The facility to pay-as-per-the-consumption is a welcome improvement for the IT firms. While with Hybrid Cloud it is just a beginning, the flexibility to personalize the usage and paying as per the same. This is an excellent relief from the yearlong investment. Agility is the most important benefit that cloud operating have to offer. This factor becomes more improved with Hybrid Cloud. With this operating system, deploying apps and development services becomes more flexible and as per requirement of the parties. The agility offered by Hybrid Cloud creates an excellent platform for treating DevTest and production/development platform equally. Thanks to this improvement, IT enterprises receive the opportunity to pace up the speed of deployment time that traditional development process incorporates. Furthermore, the development and testing of software on Hybrid Cloud operating model becomes is as effective as understanding the extent of its proper functioning in real life situations. Finally, Hybrid Cloud operating model makes cloud computing more than just a data center and transforms it into new-gen IT operating model. Hybrid Cloud operating model is definitely an integral part of the entire Cloud technology but it takes the future of IT functioning to an altogether different level of dynamics. The challenge in terms of making cloud computing popular is definitely there but having the dynamics available will surely give IT enterprises of all size and expansion with the confidence to take a dig at the newer operating models over the existing ones. Security and pricing rate offered by the third party data centers have remained the most important concerns that stop IT enterprises from opting for Cloud with their eyes closed. Successful introduction and marketing of Hybrid Cloud computing model will surely change this skeptic approach and also will take an important role in making cloud computing a reliable platform, worth celebrating. What is Google? We know it by many names – world’s favorite search engine, the information hub, search giant. Google, however, is not satisfied with its current stature of being recognized solely as company that specializes in search. The company is actually eying to make its mark as a global computing giant, which means they need to establish their excellence in every aspect that conjointly defines global computing. Beyond the typical role, Google is currently an ad company, a mapping expert, redefiner of the smartphone technology, wearable technology and automobiling. Yet, in order to establish the undisputed supremacy in each of these disciplines and claim the position of the ultimate brand that signifies the best of everything in computing, Google must win the Battle of Cloud! Advantages of Cloud Are Far From Being at Reach, Yet! It hasn’t been a year since the experts were opining that cloud computing may be the future but the future is not really arriving, owing to a few limitations related to accessibility of the cloud on mobile. Considering impact of these limitations in the long run, many large scale business platforms have intentionally avoided from making cloud a foundation of the organizational operation. On the other hand, bigger corporations, having the resource pool and technological excellence in warding off these limitations, have indeed opted for availing the benefits of cloud computing but at the cost of strikingly high price. Ideally, Cloud is a platform that encourages corporations to continue with R&D methods that widen the path of innovation without making the process expensive. What Should Be The Key Steps for Google to Capitalize? Using the high cost of cloud computing, one of the most common concerns of most company owners, as a key factor can work really great for Google and may provide them with a strong foundation in its efforts to triumph the competitors, especially Amazon. The latter is undisputedly the most powerful and trusted cloud service provider but owing to its expensive service charges, many potential customers prefer to opt for the conventional ways. Google’s public cloud may easily solve the problem of burdening expenditure. Ask any webmaster, Google-loving user or a person who understand how the search works and he/she will tell you the main source of Google’s persistent multibillion profit earning is their undisputed command over search and internet advertising. In fact, this supreme command has made internet search synonymous with Google and Google AdWords as the ultimate guide to develop winning strategies for ad business in the internet. While the first type functions as a virtual machine that allows seamless operation of any software, on the other hand, the other type is most trusted software management and scaling of the same, according to the increasing numbers of machines using that software. This difference is confusing for many developers and it can be solved perfectly if these two platforms can be merged or unified. In the journey to win the battle of cloud, Google aims at successful merging of these types into one without leaving behind the respective benefits they have to offer. Experts are of opinion that accomplishing this goal successfully will not only benefit Google but also it will benefit the overall cloud scenario. In today’s scenario, finding comprehensive cloud assistance is clearly a rarity. Google’s effort is actually widening the path for overcoming this limitation, as it would not only allow users to run any software they want but also they would not have to be alerted all the time for its proper management. To Win or Not to Win – Google Is Not in a Place to Take Easy on Winning! 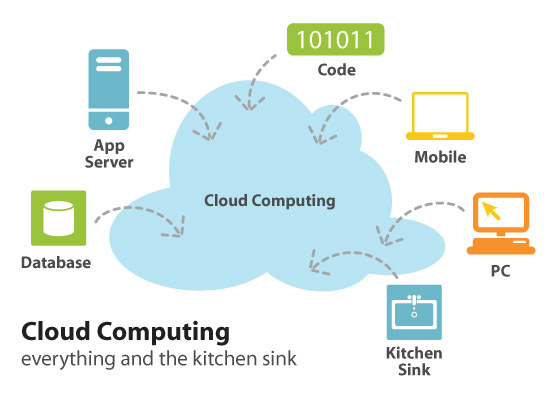 The way cloud is becoming prevalent, quite soon it will become a generally accepted practice for computing. Google’s innovative steps have accelerated the process. At the same time, the company has reached the position, where it is not up to them anymore to decide whether to take it easy on winning this battle of cloud or not. In fact, in this changing environment of computing, Google has to justify their supremacy in every single step. As cloud is the key factor that connects every domain, related to overall convenience in future computing, it is important for Google to establish themselves as one of the unquestionable leaders in this field, which is far beyond the general impression of an ultimate search engine. Google, apparently, is on the right track with the correct strategic planning and time will only tell how far they have become successful in satisfying their ambition. Android 4.4 (Kit Kat): It’s a Google Way to Make Cloud Popular? Google may be customer-friendly but Microsoft knows exactly what enterprises want and prepare their cloud-based apps as per the requirement – this is what Michael Atalla, the product marketing director of Microsoft’s cloud-based apps suit, Office 365, has said in a recent interview. He has emphasized that Microsoft’s cloud-based apps may not be popular but they surely are helpful to explore the wide horizon of cloud computing that lies ahead of browser-friendly, consumer centric approach. Customers first! This has always been Google’s key strategy to popularize a product and then use the popularity as a medium to grab the market. In case of dominating the vast and unexplored domains of cloud computing, it appears that they are following the same line. In today’s business world, enterprise mobility is the key to stay ahead of competitors. Cloud technology, most likely, is the worthy platform that leads to seamless integration of the components of enterprise mobility and brings forth the desired results. These three reasons are potent enough to put enterprise owners under the endless dilemma – to opt or not to opt for cloud, despite the case that the results, after choosing the cloud platform, may not be disappointing at all. Naturally, the only option that service providers are left with is proving credibility of this technological platform. The best way to start with the process is to make it popular among consumers, not necessarily enterprise-centric. The Google Drive app was available in Google Play and users had to download it. Making it preloaded simply means that this OS not only makes it more convenient for regular users but also encourages people, who haven’t started using this feature. The two other features, Tap and Pay and Cloud Printing have been introduced with specific attention not only to enhance users’ convenience but also to exhibit the effectiveness and relevance of cloud these days. In addition, to this comes the unique LTE support facility, which will help users accessing high-speed (4G) mobile data connection networks. We have discussed how cloud computing has found its potential brand ambassador through Google Glass in the last blog post. There we also discussed how real-time data sharing would become important for businesses in the near future. The special emphasis on this aspect and implement relevant apps in the new android OS clearly shows that Google is actually looking at what lies ahead. The time many not be far when real-time data sharing will receive primary importance from consumers and enterprises alike. 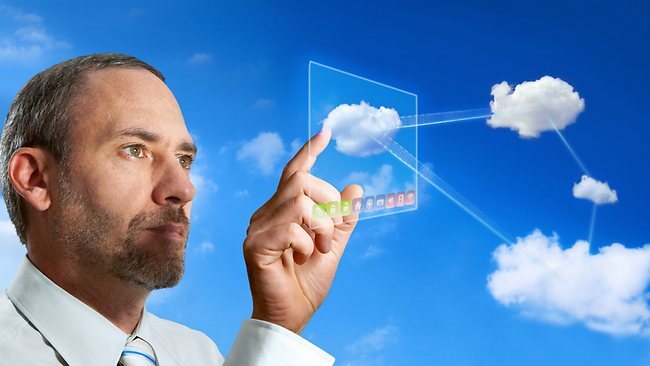 Cloud computing is capable of delivering them with the most constructive solution. However, the first challenge is to take this technological platform out of its niche and make it widely acceptable. Google’s initiative to make this happen by effectively using its own mobile infrastructure (android 4.4) is truly commendable and deserves applause beyond any skepticism. Innovation, quite in contrast to the earlier times, is no more an alienated process. These days, innovation is a collaborative effort, which materializes through conjoint effort of a group of experts as they continue sharing test results and newer ideas only to make the outcome more tangible and infrastructure friendly. However, one thing that remains true about innovation, whether it is this day or that day, is its success depends largely on constant flow of investment. Organizations that will spend money on a particular project, aim to enjoy the benefits of it once it is successful. Clearly, they can’t continue with bearing huge expense of running a project for an indefinite period of time without expecting any tangible results or return of investment. It has been quite a prolonged dilemma for industries to figure out where to and how to invest. In many cases, despite the idea appears promising but in the due course of time, people engaged in the project come across a barrier that becomes impossible to overcome. These situations imply complete wastage of money, time and effort. So, one of the major preoccupation of investors is finding the right technological assistance that would help in managing both time and resources. How Cloud Will Help in Achieving These Objectives at An Affordable Cost? The technological foundation that cloud computing has to offer, is not only significantly different than the traditional set up, but also, essentially, the computing network is much lenient and ubiquitous in terms of usage, especially in the existing ad-hoc team-based work environment. So, if you are in favor of looking beyond what it used to be and planning to take your organization to a different height of enterprise mobility for ensuring long term success, opt for cloud computing. This year’s Gartner report on Hype Cycle of Business Intelligence in comparison with last year’s cycle has led to the conclusion about the progressive development of trends in Cloud based Business Intelligence (BI). This hype cycle had added Mobile BI along with the data management architecture and information capabilities framework. However, both the new hype cycles included in the report, mirrored the same struggle of businesses with analytics and BI. The conflict lay in the effective management of data and in creating consistency across the enterprise. We are still in the early stage of implementing Cloud based BI and analytics. A survey by Saugatuck Technology indicated that both Cloud based BI and analytics will be two of the fastest growing business management solutions in the coming years. The reason for this pervasive growth is that BI helps in providing data driven clarity and predictions of market trends. Both BI and analytics are cumbersome, formidable and expensive, limiting its implementation to a select few businesses. The report’s author, Brian Dooley stated that Cloud had opened opportunities enabling these solutions within organizations. Cloud based BI successfully manages complexities like assembling of analytical components, data normalization through ETL (Extract, Transform, Load), data source management and designing of the analytical solution. Andreas Bitterer, Research Vice President and Lead Analyst for this year’s Business Intelligence hype cycle, detected the growing interest amidst various businesses in the information capabilities framework concept. Most businesses have realized the importance of BI, however, they have failed to develop an infrastructure that can deal with the semantics. Most of these companies failed to define even simple attributes like “customer,” “product,” and “supplier,” making it difficult for the measurement and reporting of the financial metrics. He continued to comment on the difficulties faced by organizations in understanding how data is beneficial to them. There also exists the underlying pressure of consistency, relevancy and governance. There is a need for clarity, to be able to define the terms that relate to the BI platform. Most businesses are not aware of where to start especially when the problem is unsolvable with just throwing technology at it. To this, organizations need governance that also has the possibility of bringing forth resistance among independent departments who prefer working in a particular way. Gartner has identified information, social, mobile and Cloud to be the four most important trends of this year. These are not a fresh concept, but for most experts, the biggest challenge is in facing with the regularity issues. Another factor that has significantly challenged is the rate at which the BI and analytics terrain is evolving. For example, information has been the constant component of the BI and analytical programs. However, the information has ceased to be just informational assets on transaction, sales, or products. It now also refers to the new sources of information garnered from seismic, sensor and meteorological data. To sum up, as Bitterer said, the data is now not only about the database, but also about other data. Numbers are still low on those who deploy both social and Cloud technologies. Businesses are still vary of the Cloud based BI because of factors like trust, legal and technological issues. There are still others who question the “sentiment analysis” on social media. Vendors are rolling out software with “mobile first” initiative. These mobile devices have been providing dashboards that provide the necessary information at accurate time and place. Dooley predicts that all Cloud-based software will experience substantial popularity in the near future. While the pace of growth of the early leaders, like the CRM, customer service and collaboration has been considerably slowing due to its increased adoption rates, BI and analytics will only accelerate. Cloud based BI has some definite advantages like low upfront costs, rapid deployment, cheap scalability options, storage, and seamless accessibility, etc. There are also specific benefits of Cloud-BI that are unavailable in the BI applications, like support of wider initiatives, which includes one-time analyses, broadened usage base, agile deployment, etc. The only downside remains the security issues. Study reveals, Cloud on its way to generate 14 million job opportunities by 2015! There’s real good news for all aspiring IT professionals! Based on a recent study commissioned by Microsoft and conducted by IDC, cloud computing is all set to generate about 14 million jobs globally by 2015. Apparently, this massive employment opportunity will be funded by Cloud at an estimated rate of $1.1 trillion dollars that it is going to generate simultaneously by 2015. Countries in particular like India and China will witness most of the job growth. Industry experts are expecting that these countries will give rise to 6.75 million cloud jobs as opposed to a projected 2.07 jobs in the European, African and Middle Eastern region (EMEA), 2.8 million in Asia-Pacific along with 1.17 million in North America. The report also points out that India and China will remain at the vanguard for maximum cloud job creation, mostly because of the presence of huge manpower in the region. It is also mentioned in the report that due to less ‘legacy drag’ while essentially backing up traditional IT software and systems along with infrastructure disputes, they lend themselves to cloud adoption as the main driving force. As far as information technology trends are concerned, it was the startup and medium business units that used to follow suit trends raged by the bigger enterprises. But now this pattern has completely turned upside down-all thanks to the cloud computing phenomena! Going by the report, “IDC believes that small and medium-sized companies — at least those with computers — will adopt cloud IT services faster than larger companies.” Consequently, small to medium businesses will be generating about 1.2 million cloud jobs more than the large enterprises that boils down to the figure- 7.5 million versus 6.3 million. With less legacy drag and limited chances of getting let down, SMB’s like India and China are rapidly foraying into cloud computing as compared to their established counterparts. Yet another factor contributing to the massive adoption of cloud in these SMB’s is expense reduction, keeping in view about the global meltdown, no wonder companies will prefer having a reasonable alternative.